We're only about a month away from Apple's next iPhone launch, and that means leaks are coming in thick and fast, with a new leaked photo claiming to show the iPhone 9 direct from the factory floor. 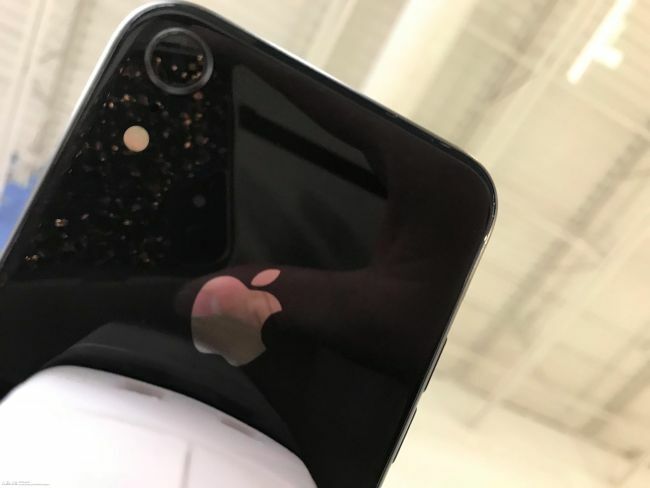 The image was posted on /Leaks and gives us a rather blurry look at the rear of a device, which is said to be Apple's 'affordable' 6.1-inch iPhone 9. Compared to the iPhone 8 (in the image above), the handset in the leaked shot appears to have a larger camera sensor, hinting that perhaps Apple will equip this new iPhone with new camera technology. If this photo does indeed show the iPhone 9 and not a prototype, dummy unit or fake, then it looks like Apple may shift the position of the flash as well, moving it from the side to beneath the camera. This vertical stack is already in use on the iPhone X, so it makes sense that the Cupertino-based firm brings all its handsets in line with the same general layout. An separate iPhone 9 image leak from Czech site Letemsvetemapplem supports the first shot, again showing what is claimed to be the next iPhone handset with a large, single rear camera and a LED flash below it.Read more..